Sending out the save the dates is a big step in your wedding planning. But nothing can ruin all the hard work like a mistake on the card. With all the to-do you will have on your plate, the wedding invitations are not the place to cut corners. Before sending out your wedding invitations, double check you haven’t made these mistakes. Quadruple check your spelling. It only takes one wrong letter to send your guest to the wrong address or one wrong number to have guests showing up at the wrong time. If you’ve been staring at the invitation too long, have a fresh pair of eyes take a look to catch any misspellings. Although it may save you time, a stick on label for the address on the invitation might feel too impersonal. Take the extra step to handwrite your guest’s addresses on the envelope. If you don’t have the steadiest hands, hire a professional or recruit a friend to help! Unless it is pertinent to the invitation, don’t include information your guests don’t need. For example: gift registries or alcohol service. Such information is implied and your guest will know what to expect, or they’ll ask for additional information if they need it. Don’t let the stress get the best of you. 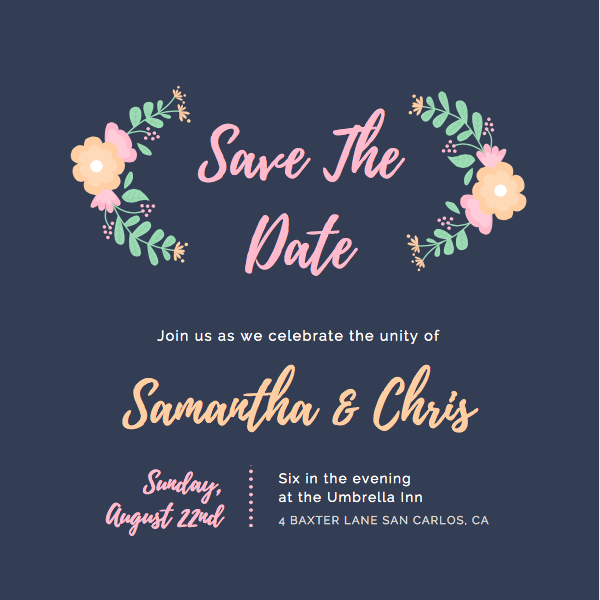 Be sure to check your invitations before they go out to make sure your guests get the perfect invitation to your big day!